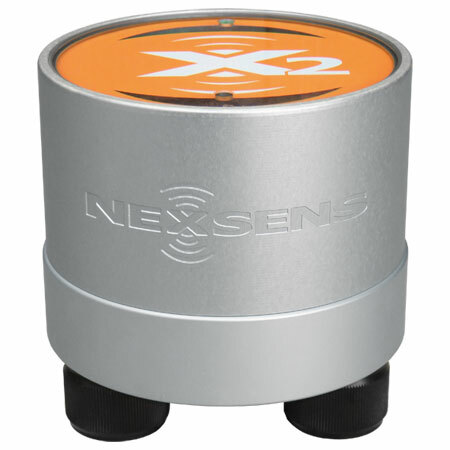 X2 Environmental Data Logger - NexSens Technology Inc.
A smartphone, tablet, or laptop connects by Wi-Fi to access sensor data and view or change settings. No application-specific hardware or software is required. Works within an existing Wi-Fi network or as a direct link from the X2 to the device. When communicating within a Wi-Fi network or connecting via remote telemetry, measurement data streams directly to the datacenter. SensorBUS technology incorporates industry standard SDI-12, RS-485 and RS-232 interfaces in a single watertight cable. Smart sensors are available for most environmental measurements. A specially designed mounting bracket holds the X2 to a 2" NPT pole for easy connection. The optional solar power pack also mounts to the pole and provides ample power for most applications. The X2 is sealed in an aluminum housing with a polycarbonate top plate. Magnetically activated keys allow for input without jeopardizing the units waterproof seal. The unit is designed to work in extreme conditions, including underwater.